The Central 1 forecast comes amid predictions of a “soft landing” for Canada’s housing market from Bank of Canada governor Stephen Poloz and several national economists. The Vancouver and Toronto markets are closely watched because they are among the biggest and the most expensive in Canada. “If any city is at risk of correcting, it’s pricey Vancouver,” says a recent report from BMO Capital Markets economist Sal Guatieri. 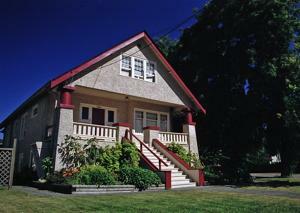 It notes the Vancouver market has bounced back from a slowdown earlier this year. “Buyers held the upper hand last year, but the pendulum has swung towards balance today,” Guatieri says. Central 1 predicts a stronger market for condos and townhomes as increasingly scarce, high-priced detached homes become even more out of reach for many homebuyers. Rental vacancy rates are also predicted to fall in 2015 and 2016, as more people turn to renting over buying. Central 1 expects the provincial vacancy rate to dip to 2.5 per cent in 2014 and down further to about 2.2 per cent by 2016. According to a Canada Mortgage and Housing Corp. (CMHC) report released December 18, condos made up 35 per cent of the owner-occupied housing stock in Vancouver in 2011, “the highest market share by far” among Canadian cities. Vancouver’s share of condo starts among all housing starts was also highest in 2012 at 64 per cent, compared to 59 per cent in Toronto and 58 per cent in Montreal, according to the CMHC report.